Wolf & Wood Interactive’s virtual reality horror, A Chair in a Room: Greenwater, is headed to the PlayStation VR on April 23rd. 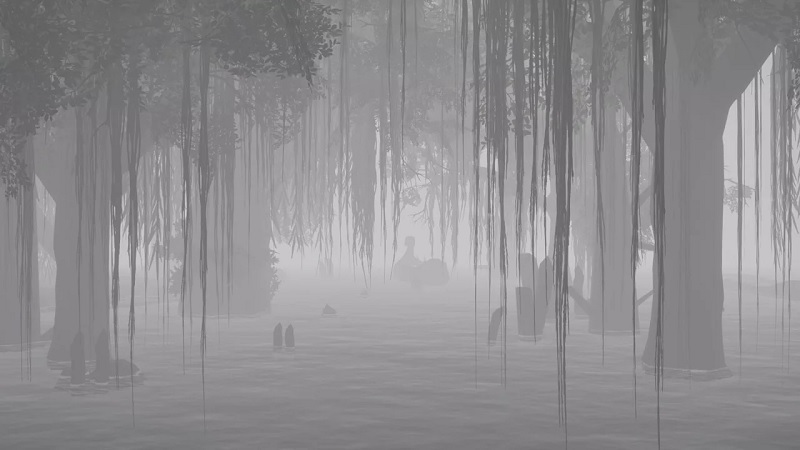 The game, which first released on PC in 2016, is set in a dark rendition of “America’s Deep South” and puts players in the shoes of Patient no. 6079 in the notorious Greenwater institute. The institute is located in an area marked by derelict towns and buildings with decaying swamps that create a creepy atmosphere. Players need to piece together their past and figure out what brought them to Greenwater. The patient number, 6079, is also inspired by 1984‘s protagonist, Winston. Bousfield teased that there are quite a few similar Easter eggs hidden throughout the game. As far as gameplay is concerned, players can use DualShock 4 or PS Move controllers to pick up items and investigate clues. Bousfield added that Wolf & Wood wanted players to get up close, and paid “extra attention” to details. “Looking closer, the clean white room reveals marks of the previous occupants, and scratched into the paint of the door are messages from another time,” he added as an example. In-game items closely resemble real-world products and contain story-related and gameplay information, making it important for players to check them out. A Chair in a Room: Greenwater will launch for $24.99. Check out a launch trailer below.